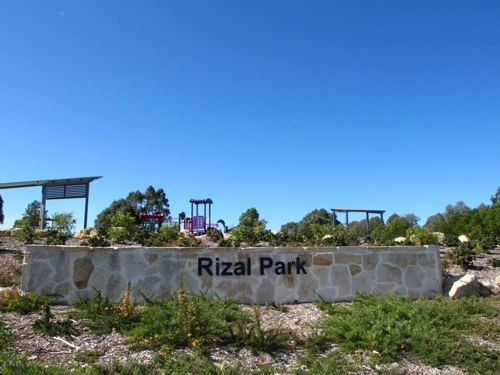 Day Trip Out of Sydney #8: A Rizal Park in Rosemeadow? Out with college buddies today and off to Berrima with a brief stop at Rosemeadow’s Rizal Park. This is where a 5-meter brass statue of Dr. Jose P. Rizal carved by Eduardo Castrillo stands tall within a park named in his honor. Yes, the same artist credited with having sculpted the tallest Rizal statue which can be found in the patriot’s hometown of Calamba, Laguna south of Manila. 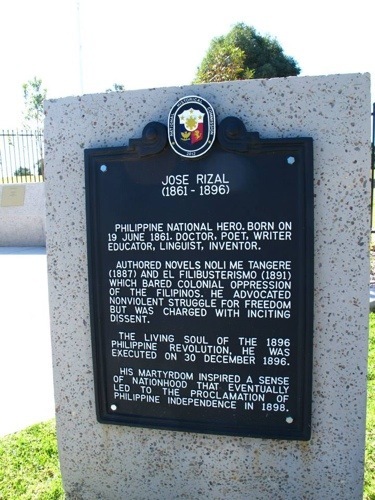 The statue differs from the many other, typical Rizal statues and monuments. I do not know what motivated the popular Filipino sculptor to depict Rizal in this fashion. And I say this without meaning to criticize or complain. Just that I find it unusual. You see, the good hero’s hands are neither holding his coat, or his hat, or simply on his sides. One hand holds a book but the other hand is raised up high like addressing or summoning a large group into action. It draws visitors to think and mull over some message. Unveiled only last October 2012 in Rosemeadow, a suburb of Campbelltown. 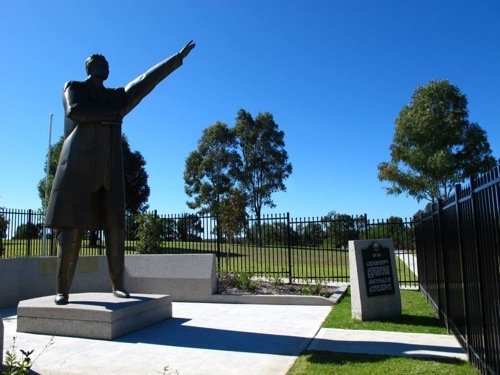 Campbelltown has the 2nd largest Filipino community in Sydney who made sure the national hero’s legacy is preserved in their community. The Park area has a playground and picnic facilities. No less than President NoyNoy Aquino graced the unveiling of this statue last October 2012. Hopefully, many other Filipino communities around the world would do the same. 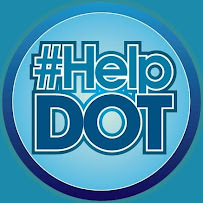 We found quite a few in Madrid, Heidelberg, Alaska, etc. More importantly, may all global Filipinos share the same values of patriotism, commitment and love for country. Thank you, Lin and MA, for bringing me here.